A favorite snack + TJs! During my last year of college, I worked at Trader Joes. It was probably one of the most fun (also most exhausting. Have you seen those people? They’re always moving!) job I’ve ever had. Aside from the fact that the people were cool, the benefits and pay were off the freaking wall and they were willing to work with my school schedule, I got to taste a lot of really good food! Anyone who knows Trader Joes knows that they’re pretty much the opposite of mainstream. You can’t go in there, necessarily, looking for one item. It’s likely not to be there, even if it was there the last time you were there. They call themselves a “specialty grocery store.” That being said, there are tons of really fun, different foods you can get there. I love looking in other people’s carts while I’m there. 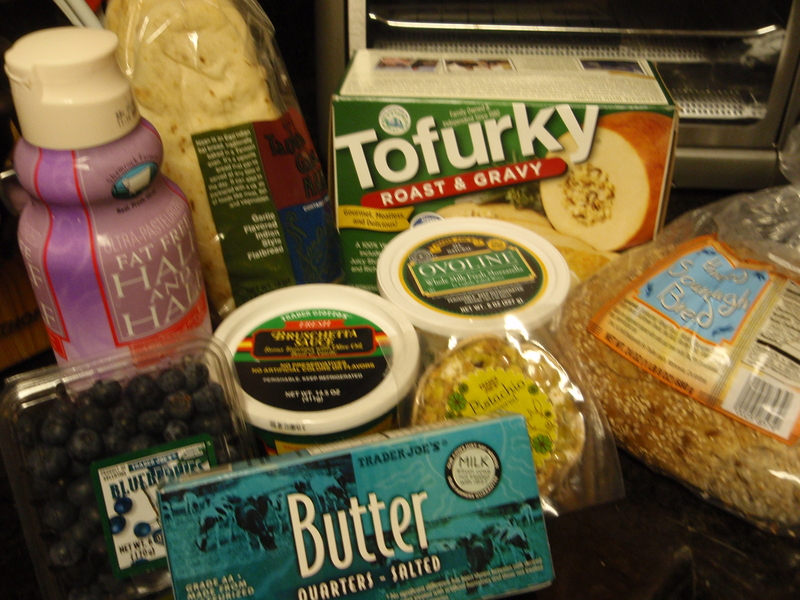 Katie, over at healthy diva eats, calls people like me cart stalkers. And more than once I’ve seen something in someone’s cart while on my way to the checkout and just HAD to go back and find it. Katie has taken cart stalking to a new level though, and started posting her highlights on her blog! 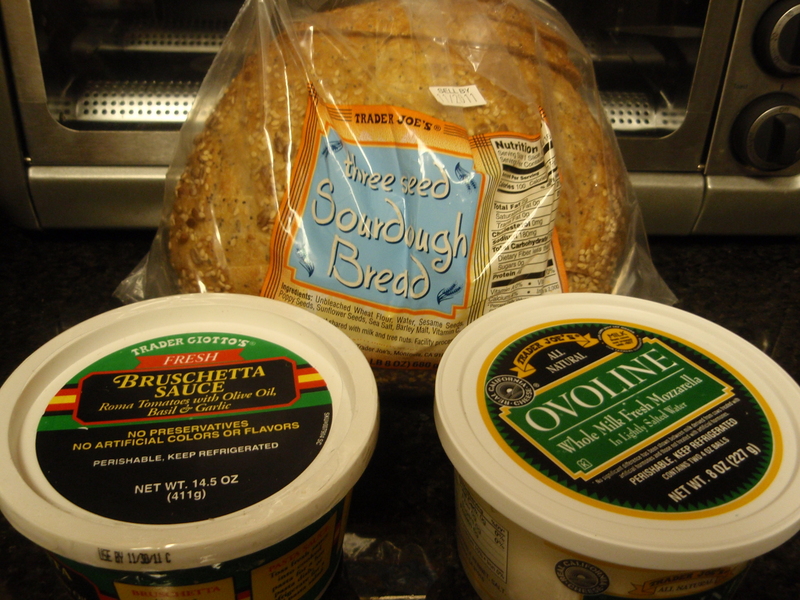 So, here are the highlights from my trip to Trader Joes last night. 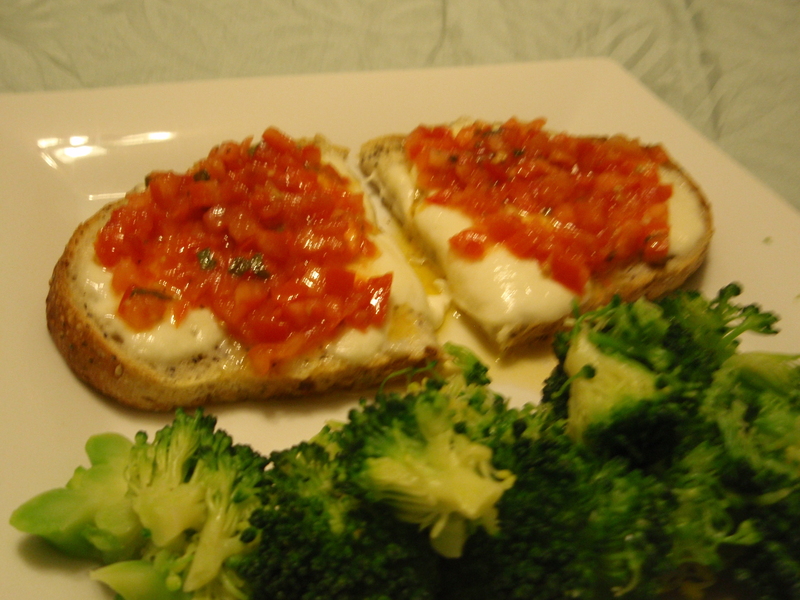 Toasted seeded sourdough bread + fresh mozzarella + bruschetta sauce = DELICIOUS! I added the steamed broccoli because I was feeling a little nutrient deprived. I assume you also noticed to Tofurkey in the photo above. Yes, I’m one of those. 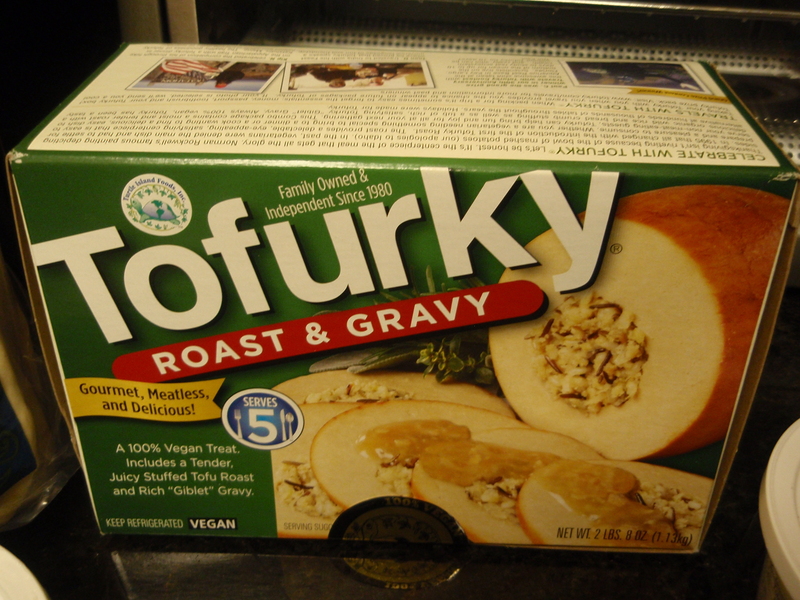 I eat Tofurkey and I love it. And no, Jim doesn’t eat it. He eats regular turkey or whatever else was cooked by whoever we’re sharing Thanksgiving with. It’s really not that bad. If you’ve never tried it and you get the chance, give it a bite. Tonight’s dinner is another “compromise” meal. A compromise because I’m cooking it, Jim’s eating it and I’m picking around it. Stay tuned for that one!